A put upon pharmaceutical rep fakes his kidnapping. For a long time, the idea of a Hollywood stunt performer turning director was a rarity, with Hal Needham (Smokey and the Bandit; The Cannonball Run) the most prominent exception. In recent years we've seen a host of daredevils turn their attention from avoiding breaking their necks to avoiding breaking the 180 degree rule. 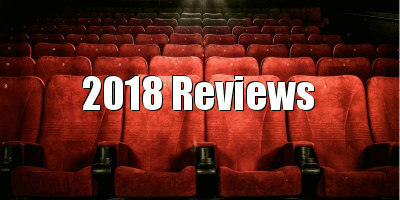 To varying degrees of critical and commercial success, former stuntmen like David Ellis (Snakes on a Plane), Scott Waugh (Need for Speed) and the duo of Chad Stahelski and David Leitch (John Wick) have seized the chance to wield a megaphone from the considerably safer position of the director's chair. Nash Edgerton (brother of actor Joel) has been working in the field of stunts since the early '90s, wracking up credits on the likes of the Matrix and Star Wars franchises. Ensemble crime caper Gringo is his second turn behind the camera, following 2008's The Square, and while I haven't seen his debut, on the evidence of his sophomore effort, his transition from stuntman to director hasn't produced positive results. Edgerton has assembled an impressive cast, headlined by David Oyelowo as Harold, a put upon Nigerian nice guy who works for Cannabix Technologies, a not entirely legit pharmaceutical company run by his frenemy Richard (Joel Edgerton), who unbeknownst to Harold is having an affair with his wife, Bonnie (Thandie Newton). Using a lab in Mexico, Cannabix have found a way to produce medical marijuana in pill form. When Richard and business partner Elaine (Charlize Theron) send Harold south of the border to visit the lab, Harold learns not only that Richard has been getting sweaty with his wife behind his back, but also that he and Elaine plan to screw him over in a business sense. Sick of playing by the rules and getting nowhere all his life, Harold concocts a plan to fake his kidnapping, demanding a ransom of $5 million dollars from his employers. Naturally, things don't go so smoothly. There's a moment in Gringo in which Harold is having a talk with Sunny (Amanda Seyfried), an American girl also down in Mexico accompanying her drug-running boyfriend (Harry Treadaway). When Harold tells Sunny he's from Nigeria, she mentions receiving an email from a Nigerian Prince offering to make her rich. "That was my uncle," Harold replies. We assume at first the joke is on Sunny, that Harold is mocking her first world ignorance, but no, Harold is serious - his uncle really is a Nigerian email scammer! This scene is indicative of the confusion of tone that runs throughout Edgerton's film. We're never sure who the joke is on, and whether the film wants us to laugh or be repelled by the actions of some of its characters. Like the films of the McDonagh brothers, there's an uncomfortable blurring of the lines between Gringo being a film that features despicable characters and simply being a despicable film itself. Theron's character exists simply to make a series of ableist and body-shaming jokes, but it's all delivered in a manner that suggests the movie expects us to laugh along with her. The film itself isn't just confusing and inconsistent - the same can be said for its individual characters. It's impossible to get a grasp on anyone's motivations, as they appear to change from scene to scene, not in a way that keeps us guessing and adds to the suspense, but simply in a manner that suggests the screenwriting duo of Anthony Tambakis and Matthew Stone penned their script while indulging in a few too many tabs of Cannabix themselves. Most egregious of all is Harold, whom the film can't decide is either a capable and educated businessman or a buffoon. Oyelowo is a hugely talented actor, and we know he can convincingly play Africans (his parents are themselves Nigerian), so why does his performance here at times resemble a cross between Eddie Murphy in Coming to America and the controversial 1930s African-American comic Mantan Moreland? Gringo runs for 110 minutes, but it felt like I had spent a week in the company of its insufferable ensemble. It's a rambling, shambolic mess, one that's in love with its verbose script, packed with cringey, sub-Tarantino allegorical speeches about bible passages, The Beatles and, ugh, bananas (the movie's most ill thought out moment sees Edgerton spin an allegory that posits a banana as the ultimate goal for his black underling). Scenes play out twice as long as they need to, at times feeling like we're watching deleted scenes on the film's DVD, and an entire subplot (that involving Seyfried and Treadaway) contributes nothing to the narrative. Gringo was funded by Amazon Studios, who have knocked it out of the park in recent years with modern classics like The Neon Demon, Manchester by the Sea and The Lost City of Z, and unlike their rivals, Netflix, they allow us to see their productions on the big screen. 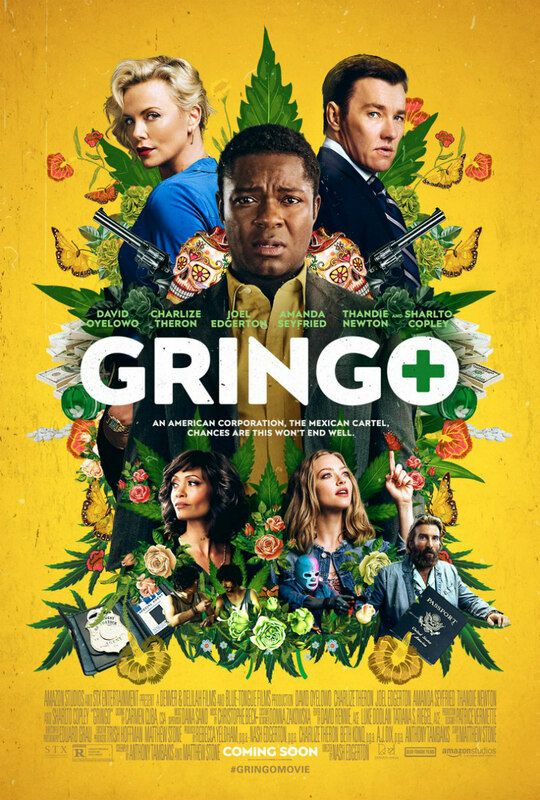 Gringo however has a lot more in common with a Netflix original, boasting an impressive cast in a blandly shot and misfiring drama, and if Amazon had sent it straight to their streaming service, nobody would be calling it cinema's loss. Gringo is in UK/ROI cinemas March 9th.